Need Power Metering and Remote Reboot Too? In your equipment rack, the PTS serves as a means to provide redundant power to any AC powered device that does not include a secondary power inlet. 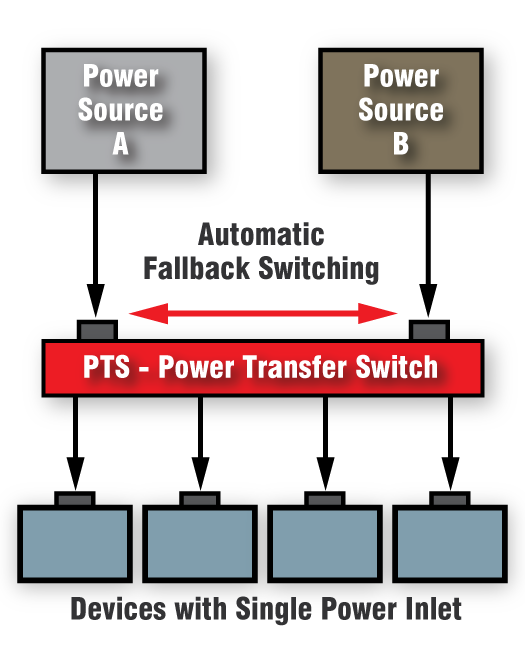 Two power inlets supply power to the PTS unit, allowing the PTS to automatically switch to a secondary, back-up power source in the event that the primary source fails.